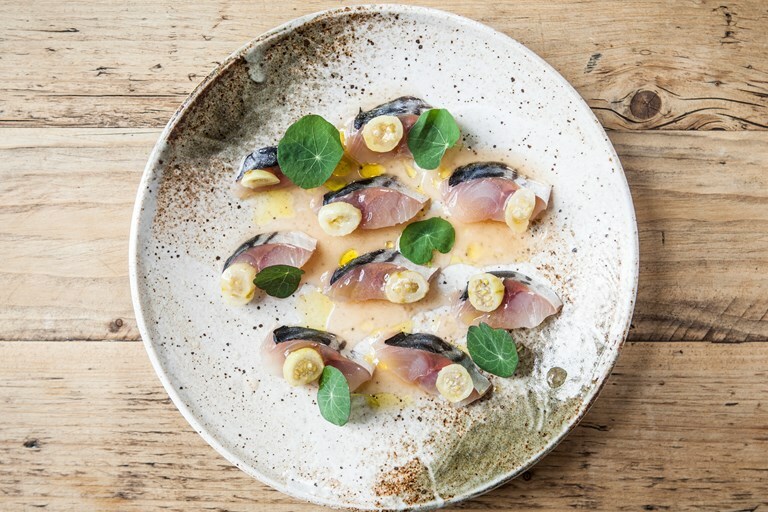 Michael Bremner serves cured mackerel with fermented gooseberries and a fresh, zingy elderflower dressing for a beautifully summery dish. 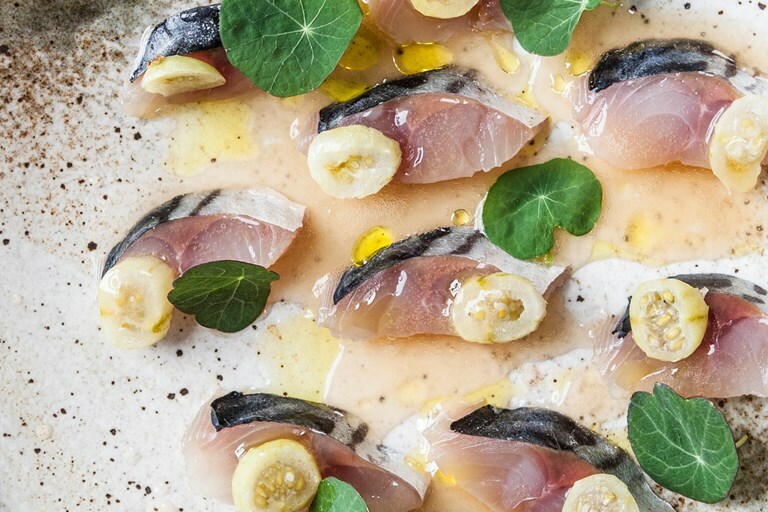 He uses yoghurt whey to ferment the gooseberries, so you will need to plan ahead for this dish. Follow Michael's guide to making whey for best results.